UPDATE - You can now purchase this pattern in my shop here. ----- So, it's been a pretty exciting week for me. Last Friday I announced my calendar quilt and today I get to share another publication with you...somebody pinch me because I can hardly believe it!! This is Heading South and it's featured in this month's issue of Love Patchwork & Quilting. 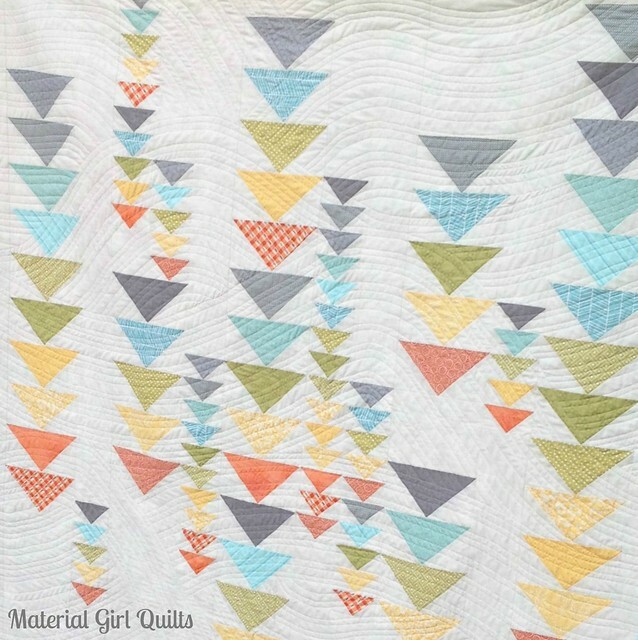 If you haven't checked out this fairly new quilting magazine, you really need to. This is their 13th issue and I have to tell you that every issue I've seen to date is just beautiful. The team working at LPQ really know what they are doing and put together a nice work of art each month. Truly, I love to flip through this magazine over and over and be filled with inspiration. Here is a detail shot from the magazine. When Jenny sent me these photos of Heading South, I'll be honest, a few happy tears fell. The beautiful photos filled my heart to almost bursting when I realized that one of my dreams was coming true. Seeing these photos makes me wish I had a nice photo studio with great lighting and a fancy camera to make ALL of my quilts look this good!! But I will have to settle for shots like this (taken at dusk the night before shipping the quilt off to the magazine). 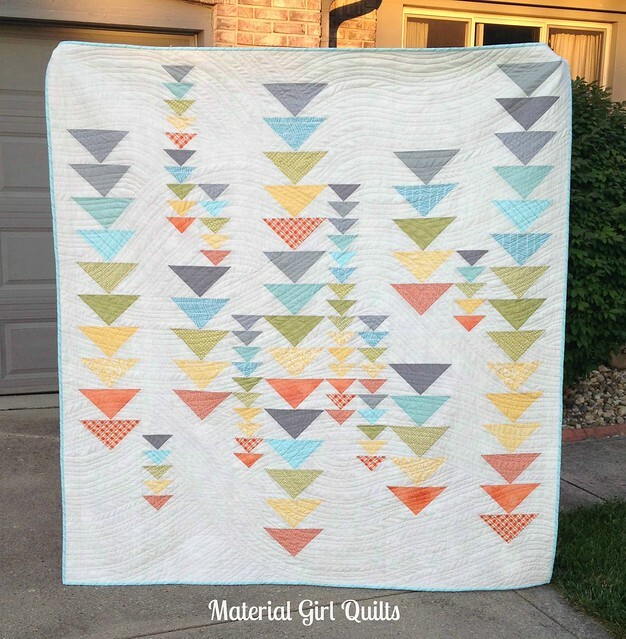 If you purchase Issue 13 of Love Patchwork & Quilting, you will note that my quilt instructions leave you with 5 extra geese (one of each color). I put those geese to good use in a pretty table topper shown below. You can find the tutorial to make this table topper here. (Again, another beautiful photo from LPQ). Issue 13 goes on sale Sept. 17th, but subscribers receive their copy a bit early (starting today). Thanks again for all of your love and support the last couple of years, it has helped me to achieve one of my originally "lofty" goals...now to set some more!